After the great achievement within the Black History Month 2019, I´ve decided to open a Cooking Club for singles. 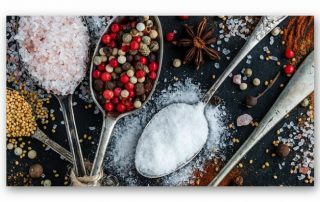 I´m creating this cooking club for singles who want to improve their cooking skills, get to know new people and enjoy the delicious meal together on a chilled Sunday evening. What are we going to cook? We will cook east African, Vietnamese, Brazilian, Peruvian and many more delicacies. So that everyone can successfully prepare the dishes at home, I will be giving out the recipes after the workshop. This easter will be different. We will try our best to make it outstanding delicious. We will bake together and create new pralines. Do you think this is very unhealthy? With Magda´s Food Programme we have the ability to create healthy, delicious and sweet Easter delights. As a follow up to the kickoff workshop for Black History Month in Hamburg, my mother and I will prepare more traditional authentic East African dishes. We will also impart important customs, traditions and cultural aspects. Our goal is to instruct participants how to prepare East African dishes in a authentic East African style while also taking care of one´s health. If you always wanted to try out how to prepare Sambusa, Injera, Alitscha, and Molokhia then is this class the right one for you. So that everyone can successfully prepare the dishes at home, we will be giving out the recipes after the workshop. Please buy your ticket in advance by clicking on the below button. I reserve the right to cancel the event if the number of participants is less than 8. 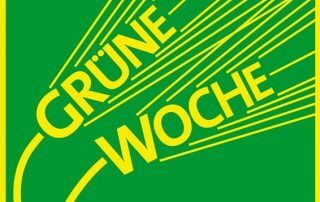 From the 21st to the 25th of January, I will be hosting two daily shows at the Green Week (Grüne Woche). The topic involves a presentation and discussion of the healthy east african cuisine. Please drop by. Here is where you will find me: The Berlin Fairgrounds, Hall 5.2 a (South Entrance). On the 27th of January, I will be giving a cooking show at the Heldenmarkt where I will prepare a typcially healthy west african dish for you. Please come by between 15.30 – 16.30 and eat hearty! Not only are the dishes from the 55 african countries different, but traditions also vary. In this workshop Magda Tedla offers the participants the opportunity to experience the different customs and rituals for love birds, married couples and singles. In this workshop that is specifically designed for singles, you have three hours to get to know a potential partner. Only singles will be recognized as participants. We will primarly explore and cook healthy, country-specific and seasonal dishes from two african coutries. After the workshop, participants will receive recipies to take with them. Magda Tedla will go on a journey with the children around different parts of Africa and while trying out many ingredients along the way. Furthermore, we will try to recognize nutrients und important healthy ingredients. Can you see, smell and tatse them? How do you make the right decision for lunch? How do spices work? Can children and grown ups find the same ingredients delicious and how if so? After the workshop, participants will receive recipies to take with them. My mother will prepare along with the participants, two traditional east african dishes in an authentic east african style. In the theory section of the course, the customs, traditions, cultural aspects as well as the nutritional psychology will be explained by Magda Tedla. The goal is to instruct participants how to prepare east african dishes in a authentic east african style while also taking care of one´s health. After the workshop, participants will receive recipies to take with them. Magda´s Food Programme will be cater the wonderful WeAreFam! Empowerment Event, which will be spread across the whole day. The event is aimed at empowering and exchanging with black parents who have eurocentric children. The programme will take place from 09:00 hrs. to 17:00 hrs. To insure a successful event, we are offering everything from refreshing conversations to yoga inspired body movements. Hamburger Sparkasse Promotion Campagne Magda´s Food Programme will be presented at the Schlossstraße branch. Stop by too look at my stall and take some flyers with you. Catering will be organized by Magda´s Food Programme. The main focus is sweet and savory african snacks.